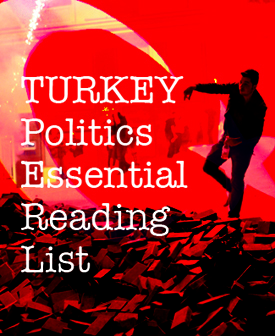 The book is a breezy 200-page summary of the country’s current impasse, addressing how the long-running conflict with the Kurdistan Workers’ Party (PKK) and the rise and fall of the Gülenist network accelerated authoritarianism in today’s Turkey. Başaran, who has over 10 years’ experience in the Turkish media, including a stint as editor-in-chief of the late daily Radikal, spoke to Turkey Book Talk about how the collapse of a peace process with the PKK back in 2015 shaped the present moment and Turkey’s path forward. Why did you decide to write this book at this point? The main aim of writing this book was to tell the truth about a period that has been so crucial for Turkey. It’s about setting the record straight on how Turkey’s deepest conflict, the Kurdish issue, has gotten deeper despite there being a time when a solution possibility had emerged. It’s about how the collapse of peace talks with the Kurds brought Turkey’s democratic institutions to collapse. I also wanted to offer an alternative way to look at the Middle East for a non-Turkish audience. Because a solution to what is happening in the Middle East is directly related to Turkey’s 40-year-old Kurdish problem and how the government has chosen to deal with it. Today in Turkey ultra-nationalism is at the center of government, becoming more strident by the day. It is almost surreal to recall that not so long ago a peace deal between the state and the PKK seemed to be in sight. When I give seminars on the book here in the U.K., when I list what has happened in the space of two years – from 2013 to 2016, starting with the peace process and ending with the July 2016 coup attempt – it sounds outrageous. We tend to forget what we have gone through, good or bad. It is surreal that just three years ago [jailed PKK leader] Abdullah Öcalan was sitting across the table from the National Intelligence Agency [MİT] chief in negotiations. It seems almost surreal at a time when [Kurdish issue-focused Peoples’ Democratic Party] HDP co-chair Selahattin Demirtaş has been in jail for a year. Let’s go back to the start of the peace process. It’s sometimes forgotten now but one of the reasons why the Turkish government felt nudged toward starting peace talks was because of what was going on in Syria. Ironically it was also developments in Syria that ended up collapsing the peace process. In the book I track events from the emergence of the [ruling Justice and Development Party] AKP to the start of the Turkish-Kurdish peace process. The consequences of the collapse of the peace process are very closely related to the Syrian war. When the war in Syria first erupted, Turkey’s leadership was adamant that it would only be a matter of months before Bashar al-Assad was ousted. That obviously didn’t happen. And when it became clear that al-Assad wasn’t going anywhere soon Turkey’s main objective in Syria shifted to obstructing the [Syrian Kurdish Democratic Union Party] PYD in its bid to form an autonomous region in northern Syria, in Rojava. Because of that, from the end of 2013 to the start of 2015 Turkey saw no problem in having an open-border policy for jihadists in Syria. This turned the country into a hub for jihadists, including ISIS recruits, and it has caused huge security vulnerabilities for Turkey and Europe. Ankara took this course for the simple reason that the PYD is ideologically affiliated with the PKK, and an autonomous Kurdish region in Syria could be an example for the Kurds in Turkey. So ultimately we can say that one of the main reasons why the peace process collapsed was the expansion of Syrian Kurdish cantons on the Turkish border. Politics was also crucial. Turkey held an election in June 2015 and the peace process was still ongoing until then. The AKP lost almost 10 percentage points of support and wasn’t able to form a parliamentary majority. Soon after that the peace process collapsed, there was a harsh military crackdown, and when a snap election was held in November 2015 the AKP was able to rally nationalist support to return to single-party government. Those nationalist lessons have set the course for the government ever since. I was really diligent about portraying events from February 2015 to July 20, 2015, when the peace process collapsed. In February there was the “Dolmabahçe meeting,” which seemed to be a turning point for the peace process. But in retrospect it turned out that the peace process was actually not going in the right direction anyway. The events I list and the rhetoric used by the AKP and President Erdoğan show that the peace process wasn’t helping the AKP gain votes. On the contrary it was helping the HDP. Looking back day-by-day, announcement-by-announcement we see how the AKP’s leadership suddenly decided there was no point in continuing the peace process politically. The Syrian war was not going in the direction they thought it would go and the peace process was only helping the HDP. So after the June 2015 election the AKP made a new calculation about how to deal with the Kurdish conflict. The PKK also miscalculated. It thought the HDP’s success in June 2015 could be interpreted as support for the PKK. But in fact the HDP’s success meant support for the peace process and a ceasefire, not for the PKK. The PKK thought the backing it received in Syria for fighting ISIS would continue for the urban warfare it started in Turkey after the peace process collapsed. But it was wrong. This miscalculation led to urban warfare that cost hundreds of lives and hundreds of thousands of relocations in the region. Today, Kurds in Turkey feel tired, detached and betrayed by both the PKK and the state. That is why they have kept largely silent despite the fact most of their mayorships have been confiscated by the state and their party’s co-chairs have been in jail for over a year. The government fancifully claims that the PKK was collaborating with the Gülen movement to stockpile weapons and create chaos once the peace process collapsed. I don’t see any possibility of the Kurdish movement and the Gülen movement being in collaboration. They have actually long been in a mental and material conflict with each other. So I cannot buy this argument that the PKK and Gülen are in an alliance to divide Turkey. They may have their own plans to divide the country but I don’t think they’d collaborate for it. Throughout your career you witnessed how the Gülen movement went from being a close ally of the government to being declared a terrorist organization. Unlike many people you were always skeptical about the Gülenists and their methods. A: After the July 2016 coup attempt my colleagues in Western media outlets were really surprised and couldn’t believe that an Islamic cleric living in Pennsylvania could orchestrate a military coup. It’s really hard to describe how this Sufi movement of Gülenists was able to infiltrate the state – particularly the National Intelligence Agency and the judiciary – while also building huge lobbying mechanisms in Europe, the U.K. and the U.S. It’s difficult to tell the Western world about this if they have just started reading about Turkey after the coup attempt. Years ago a few journalists were writing about irregularities and fabrications of evidence during the very important Balyoz and Ergenekon cases. Many others were praising the Gülen movement and the government because to the West they seemed to be a good example of moderate Islam with a pro-business mindset. Erdoğan formed a tacit alliance with Gülen and the Gülenists came to form the backbone of the early years of AKP rule, helping it in its struggle against the secularist establishment. But from around 2011, when Erdoğan began to consolidate his position in the government, a power struggle erupted between his party and the Gülen movement. The July 15, 2016 coup attempt was the final skirmish in this battle. I read thousands of pages of indictments in the Balyoz and Ergenekon cases and have done extensive research into the Gülen movement. Because of that I was targeted by them. My name was on a list of journalists who should have been jailed during the Ergenekon case. I was tagged by them as a coup-lover and an army boot-licker because I was trying to make the point that they formed a very dangerous organization that fabricated evidence to put half of the army in jail. The Gülenists may be the most dangerous thing that has happened to the Republic of Turkey since its founding. But it’s very hard to explain this because there is a very authoritarian climate in Turkey with hundreds of journalists and academics in jail. So it’s really hard to maintain the narrative for Western audiences that the Gülen movement is dangerous. They just see Gülen as a victim of an authoritarian regime. But this is too binary. What about the current situation in Turkey? There is a seemingly ever-stronger coalition of the religious-nationalist right wing, with the AKP teaming up with the Nationalist Movement Party (MHP) in a close alliance. It may seem very distant right now, but do you see any prospect of a return to the peace process? Could electoral calculation one day push the AKP towards returning to that path? Erdoğan is a political wizard. He has the power and talent to spin anything in a matter of minutes. The rhetoric has turned pretty nationalistic and there is this consolidated 70 percent bloc on the Kurdish issue – made up of secular nationalists, MHP voters, AKP voters and many [main opposition Republican People’s Party] CHP voters – but if Erdoğan sincerely wanted to go back to a peace process he would find a way. He has used many different agencies in the past. He used the EU accession process as a tool to gain approbation within Turkey and outside. He once compared democracy to a train that you get off once you reach your destination. He thought the Kurdish peace process was another vehicle, but it turned out that the process was actually helping the Kurdish movement more than him. Ultimately he still sees the world in pragmatic political terms, so I don’t see him returning to a peace process any time soon, especially before the November 2019 presidential elections. Until then, unfortunately, we will be on a very bumpy road. Frontline Turkey: The Conflict at the Heart of the Middle East is available now and can be ordered here. Listen to the recorded version of this interview here – and don’t forget, supporters of Turkey Book Talk can receive exclusive discounts on I.B.Tauris’s extensive back catalogue of Turkey & Ottoman-related titles.